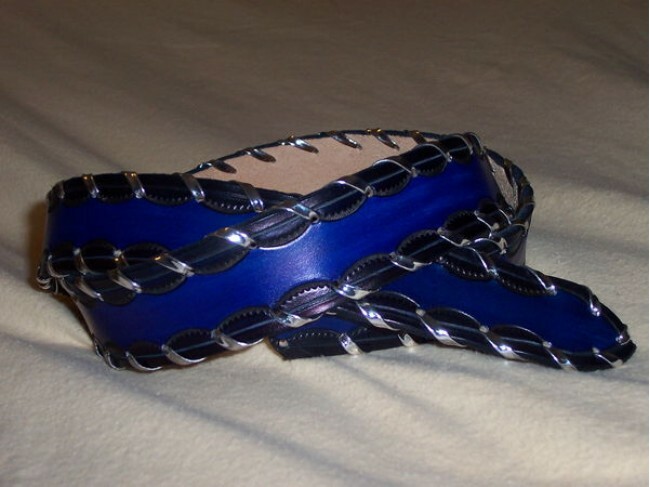 This belt is made of the same 9-10 oz. leather as all of American Custom's products, it's just a little more fancy with a metallic lace around the edge. Shown in 1 1/2" Navy Blue.